After struggling down the stretch in the regular season, New York City FC are trying to get rolling at the right time as they enter their Eastern Conference semifinal series against Atlanta United. The first leg of that series will be at Yankee Stadium Sunday after No. 3 seed NYCFC defeated the Philadelphia Union 3-1 in the knockout round on Wednesday night. Goals from Ismael Tajouri-Shradi and David Villa gave the hosts a 2-0 lead at halftime, before Maxi Moralez put the game out of reach in the second. Moralez and Yangel Herrera have both returned from injury in midfield to give coach Dome Torrent strength and depth he didn't have during his team's second-half struggles. That should provide more confidence against an Atlanta side whom NYCFC tied in both the teams' regular season meetings this year. "I think if you just look at the last two years, the games we've had against Atlanta have always been exciting," said New York City midfielder Alex Ring. "Two teams that want to play a very intense game and I'm looking forward to that. That's what playoffs are all about, you know? I wouldn't have it any other way." Meanwhile, second-seeded Atlanta United have to rebound from the disappointment of losing their hold on the Supporters' Shield -- the trophy awarded to the team with the best regular season record -- after closing the regular season with a 4-1 loss at Toronto FC. "Something new is starting. It has nothing to do with the regular season and what ended today," coach Tata Martino said after the loss in Toronto. "This season, putting aside the game tonight, we did very well but now we have to focus on the playoffs. We have to try to make sure that what took place in the last 90 minutes doesn't have an effect on our performance." The return of Miguel Almiron from a hamstring injury could provide a boost in that regard. The Paraguayan midfielder has 12 goals and 14 assists for the Five Stripes and has been the team's field general through most of the season. He hasn't played since Oct. 6, but returned to full training this week. 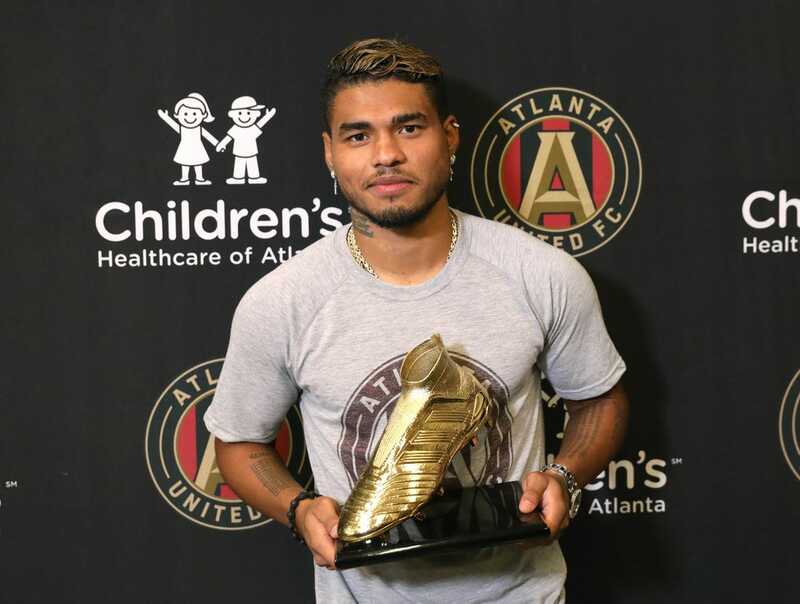 Atlanta United star striker Josef Martinez scored a league-record 31 goals.